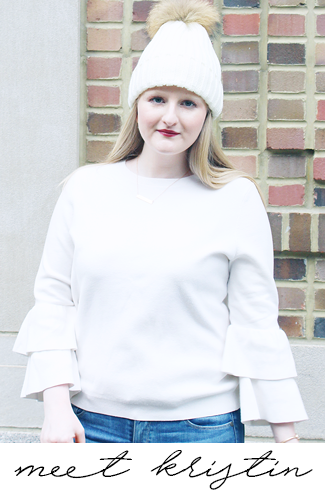 It's no secret that I love a neutral palette, especially when it comes to fashion! I wore this look last weekend to New York City to meet up with some blogger babes for brunch and exploring. These shoes are not only cute, but were so comfy to walk around in all day. Also this jacket is perfect for this time of year! These pictures were taken on a balcony at The Met, which had the most stunning views. Unfortunately it was a very overcast day, but we were very fortunate and the rain held off until we were almost done with our day. In addition to taking in these gorgeous views we stopped in the museum to see the Rei Kawakubo/Commes de Garçons: Art of the In-Between Exhibit. The exhibit features numerous avant-garde fashion pieces that are truly works of art. If you're someone that enjoys high fashion and artistic pieces then it is definitely a must see! We also made sure to get in a few different places to eat and even got Sprinkles for dessert. It was such a great day and I'm already dying to get back into the city and am planning my next visit to The Met! What are your favorite things to do in NYC? Today I'm linking up with Hello Monday, #HowISpring, Weekending, and MIMM. Omg, loving the outfit!! It looks amazing, and the neutral is totally perfect for such a busy city!! Love a great neutral! That backdrop is so pretty - love NYC! I love NYC and these photos are adorable. Love the ruffle detail on your top, so cute! I love the pleats on your top! Such a great way to dress up a basic black blouse!